Chennai, Aug 9: Despite being at opposite ends of the ideological spectrum, the Rashtriya Swayamsevak Sangh (RSS) on Wednesday paid tribute to former Tamil Nadu Chief Minister M. Karunanidhi. 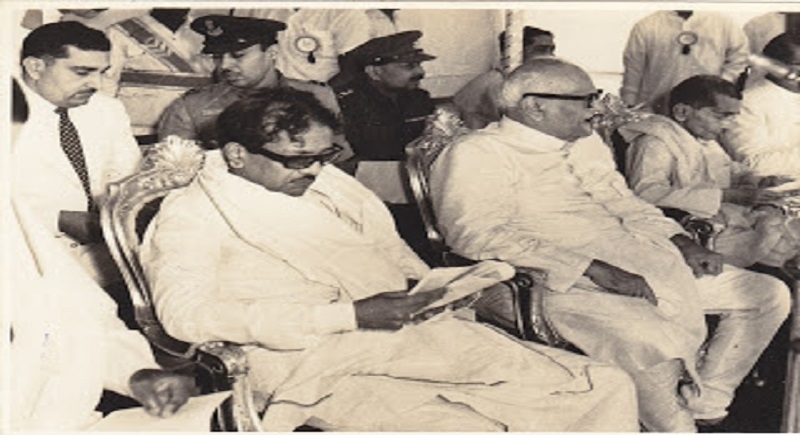 The RSS State executive member Sambamurthy, who had already met M.K. Stalin at 9.30 a.m. at Rajaji Hall, also accompanied Prime Minister Narendra Modi when he came to pay his respects later. Sambamurthy said that the Sangh never had a direct relationship with Karunanidhi, who he described as being “ideologically miles apart”. “However, he was absolutely helpful on 2-3 specific occasions we communicated through intermediaries,” he said. When Karunanidhi attended Vivekananda Rock Memorial program: Known for his revolutionary views on Hindutva, the diehard Dravid protagonist and former Tamil Nadu Chief Minister M Karunanidhi had actually attended a function of Vivekananda Rock Memorial in Kanyakumari. Way back on 1970, Karunanidhi agreed to chair the inaugural function of the Vivekananda Rock Memorial consenting to the invitation from the late Eknath Ranade, the moving spirit behind that magnificent memorial to the Hindu Monk of India. 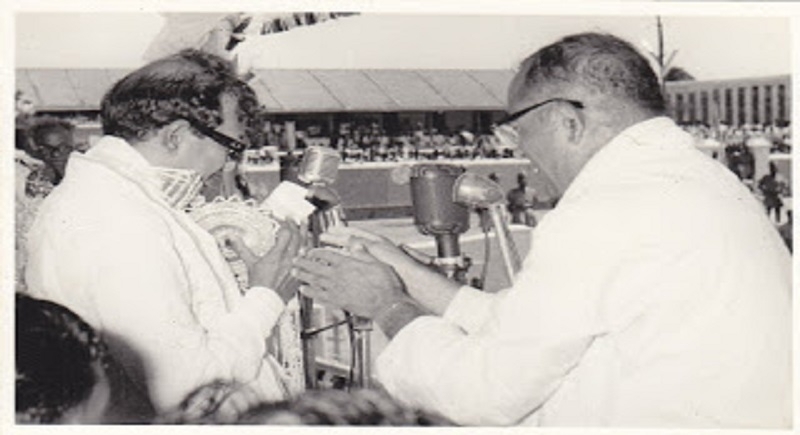 According to the Sangh media wing communication, Karunanidhi shared the dais with former President V V Giri at Kanyakumari on September 2, 1970. The inaugural ceremony became a congregation of religious, spiritual and political leaders. While the chief of the Ramakrishna Mission conducted the pranpratistha ceremony, the then President of India V.V. 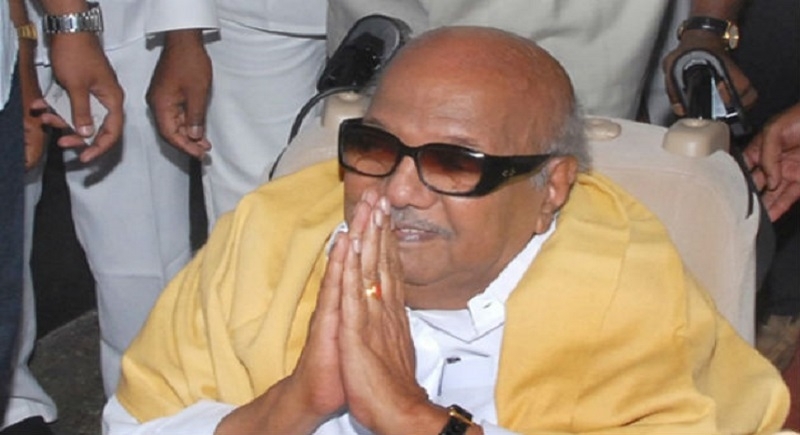 Giri inaugurated the memorial and the Dravidian leader M. Karunanidhi, a hard critic of Aryan-Hindu-Hindi imposition on the Tamil identity, was the guest speaker. Karunanidhi concluded his speech by quoting Swami Vivekananda’s words- ‘Uthistahtha Jagrata, Prapyavarn Nibhodhata’ (Arise, Awake and Stop Not till the Goal is reached). The construction of the Rock Memorial was started in 1964 under the guidance of former RSS General Secretary Eknath Ranade and was completed in 1970. The memorial stands on the rocks in the sea where Swami meditated for three days and nights before embarking upon the mission to the US to participate in the World Religions Conference at Chicago in 1863 September.